Classic basket design does it again, serving yet another aesthetic purpose – this time on your Sony Xperia Z3 Compact. Baskets are intended for utilitarian use, mainly to carry and to store items. How about cradle your phone with this Classic Decor Basket and Wicker Hard Back Case and get a classy look that is exceptionally fresh and outstanding? Baskets are crafted with considerable refinement and patience. So, how would you like to be constantly reminded of the great outcomes for your hardships? You will have some sort of motivation at hand if you want see it that way. Another notable fact to consider is baskets are the oldest form of art even before basket industry was known and produced for livelihood. Filled with some ethnic and cultural integration, go legendary with a cultural heritage legacy! Humble yet wicked; the Classic Decor Basket and Wicker Design Back Case will give your phone a light yet sturdy look and feel. The intricate features and characteristics of a wicker basket design will certainly bring a quantum leap of refinement on how you protect your precious device. With Head Case Designs, weave protection in an ingeniously indigenous yet classically fashion-forward style! Got your new apple of the eye? It deserves to be on the spotlight. Surely, one of your main concerns right now is how to protect your precious baby. Is that right? Well, fret no more and go ahead. Brave the sudden bumps, impacts, and scratches. You just have to use your Head – that’s Head Case Designs, by the way. Yeah, it’s not Halloween but skull designs are not mood-sensitive (in a sense), neither seasonal, nor gender-exclusive anymore! It is just perfect for those who want to scream their souls out. So, don’t sulk; celebrate your style and defy that downheartedness! Unleash your dauntless personality. Resonate your jazzy side and just break free. Question: So, how did skull motif went out from the cheerless, somber, and gloomy box and managed to fit into the world of jazzy vogue? It is up for you to try it out and find out. Go timeless with this fashion harmless Clear Blue Jazzy Skull Case by Head Case Designs. If there’s an idea that is always constant in this world, it is the known fact that the future is unknown. Many have a fear of it, while some anticipate it. It is the one true mystery that unfolds us all. So if I were to give you a chance to have a look at the future, would you take that journey? A rub of palms and a hum of words—Head Case Designs will take you personally on that fortune mill! Calling out all the guilty-folks out there who wish to know the future and take a mind-blowing interpretation of their dreams, come hither and let Head Case Designs give you the ticket of your life! With this Fortune Teller Ticket designed Gel Case, Head Case Designs puts on the mystic aura on your Apple iPhone 6 as it predicts the future of your phone! We all have heard about Fortune-telling. Some believe it to be magic but with Head Case, there’s no doubting in what’s in store for your Smartphone. Protection and style—a stylish and robust fortune awaits for your iPhone 6 with Head Case Designs! This crystal glass gazes clearly at a good fate for your phone! A trick? Never! A small leap of faith to a bigger future? A fistbump to that! Here’s a little secret to knowing the future: There is none! So why not guarantee the future protection of your iPhone 6 with Head Case Design! Tarot cards, palm reading—no need for those because Head Case Designs admits your smartphone with ease to a future of stylish and magical transformation! Grab your Fortune Teller Ticket Gel Case here. Alas! The Gods and Goddesses have come down to Earth again. Can you imagine them mingling with humans? Sure, you can! You don't need to look up in the sky to see the beauty of the universe - the stars, in particular. This ultimate back case by Head Case Designs, the perceived playground of the Gods and Goddesses, is definitely for those who love star-gazing and also for those who appreciate the greatest legends from ancient Greeks and mythology. It is also for those who just love to lavish their Samsung Galaxy S4 with fancy-schmancy designs with some real added protection. This intricate design is a sure match to the magical mysteries that the stars create (as we also imagine different patterns from them). It features some of the 88 official constellation patterns and most popular Greek Mythology characters. Diving into a historic background, these patterns have many stories to tell including ancient time legends. And you? You could just name history, too! 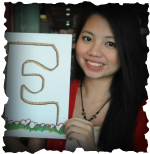 To add more fun to it, use your vivid imagination and visualize other patterns along with your friends. Reach for the stars and have an elegant looking phone that ignites your creativity and imagination. Have a mythically sophisticated phone with these Constellation Patterns collection. Grab yours here and may the Gods and Goddesses be with you! One mention of the word princess and huzzah! There goes every girl’s childhood fantasy quickly rolling down from the world of fairy tales! Let’s see: there’s Cinderella, the girl with the glass shoes, Snow White, who was poisoned by an apple, Belle who fell in love with a hideous beast; and Ariel, the mermaid turned human. All of these stories and more are cherished by people of all ages from once upon a time! But whoa! What’s this? I see you with an enchanting fairy tale head case! Hubba hubba! You know, it’s not too late to make yourself a princess! 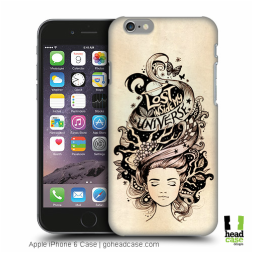 So why not continue living the dream with Head Case that matches your inner princess soul? With this Cinderella Fairy Tale design Gel case, the midnight clock will never tick for there’s no limit in achieving your fantasies! Go on then and be your own fairy godmother and sprinkle on some fantasy for your Samsung Galaxy S5! May all our wishes come true and let’s all chase our happily ever after! You’re walking down the street when a cat suddenly crosses your path from right to left. With its piercing eyes gazing at you as it walks slowly, what do you do? Do you stop at your feet and turn the other way? Are you dumbstruck with terror? Or do you scream frantically, thinking doom is brewing on your way? Whatever your action may be I’m sure it has something to do with superstitions and old beliefs. Poor black cat, what did it ever do to be linked with a darkling? Traditions have taught us that black cats, whatever breed they may be, are a sign of black omen. Witches, Halloween, bad luck, name all the black stuff out there and they’re all paired up with the oblivious cat! That passed-on notion is the reason why most people try to keep away from this “bad omen.” But do you really believe this? In Japan, black cats are considered—this is where the opposite side of the coin is—good luck! While for the Scottish, a strange black cat’s arrival to the home can be considered prosperity. And girls, mind you, if you happen to own a black cat, they say that you will have many suitors! So which belief should we follow? Is it a yes or no, to believe or not to believe? We don’t know for sure if superstition is part of reality until we experience it ourselves! So why not try and get a little thrill in your life with this Black Paw cat case cover for your iPad 3! It wouldn’t hurt to try! Who knows you might even get the good side of the coin! And if ever the bad superstitions are true--which I hope aren’t—well, ask yourself this: Who are you? A fighter and not a flighter, of course! One look at a person and you think that’s all there is; flesh and bones. But hold up! Don’t be so quick to judge because just like what they all say, there is always more to it than meets the eye! Because while a person may seem calm and ordinary on the outside, the inner world of a person’s head keeps a whole new universe; galaxies of infinite fantasies and incredible information one could ever perceive. If you've ever had that feeling of being lost in your own thoughts then you know exactly what I’m saying! Shut the world that surrounds you and voila! There you are in your own wonderland! Talking animals, fascinating princess warriors, friendly elves, and a handy fairy godmother—who knows all about the great imaginings that run inside our heads? But what’s certain is that all the thoughts that are underneath the surface always define our inner glow. Put all the pieces of puzzle in our minds and there is the perfect picture of you! The wild thoughts that run wild in your head can now be represented as mobile back case for your iPhone 6! With this creative embodiment of the Lost Inside my Universe, you may catch a glimpse of the ideas that are roaring in life inside your head. If you stand proud with your great imaginings, then you may let those ideas flourish and grow with Head Case as you bid a fair adieu to mundane thinking. You can have this for only £4.99. Click here to buy. PDA or Public Display of Affection, God knows how fond I am with it. Holding hands while walking, arms intertwined around each other, smooches while playfully fiddling each other’s hair, his soft warm breath in your ears, just the thought of it makes me tickled as pink! I know Valentine’s Day is long gone, but for me, everyday feels like Valentines. One more obsession that I have is following and prying on the latest gadgets and mobile accessories in the market, which also includes online shopping. 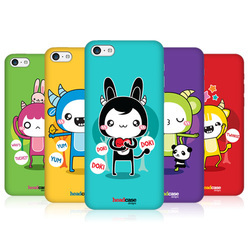 And what made me so excited was a sub website of my favorite online mobile store, goheadcase.com. This power web site is like my peanut butter and jelly sandwich. They merged all my favorite things in the world and started marketing them with affordable price and top notch service. One peaceful evening, I was sifting through their latest designs of mobile back cases which are branded as Head Case designs. By the way, their own designs of Head Cases are very original, unique, and they provide the proper protection that you demand for your mobile devices. Going back to my story, I was browsing the website when I stumbled upon their new line up of mobile back cases that made me jump for joy! Finally! They designed mobile back cases for couples! Another great way to PDA! And the good news is, they are not just couple mobile back cases, but awesomely designed Head Cases such as the Love Is design, my personal favorite! I mean, I’m not bitter with love or anything, I just like how love was perceived and visualized for that matter, and I adore the cute characters on the back cases, they make me smile. Other designs look very interesting too such as the Darling Coupons, His + Her Cases, LDR Cases, and the Perfect Match Cases.